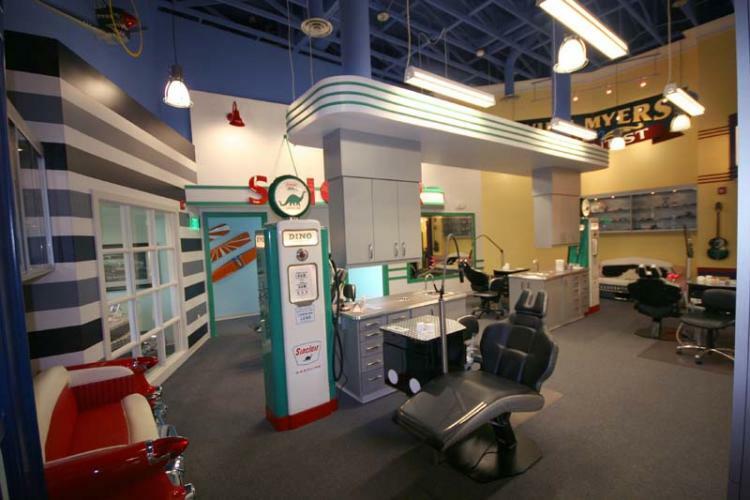 Why the heck am I posting about an orthodontist on here? Well a quick scan of the pics answers that one pretty quick! It’s all the creation of ‘Dr Dave’ from Arkansas, and unbeleivably this is his office! 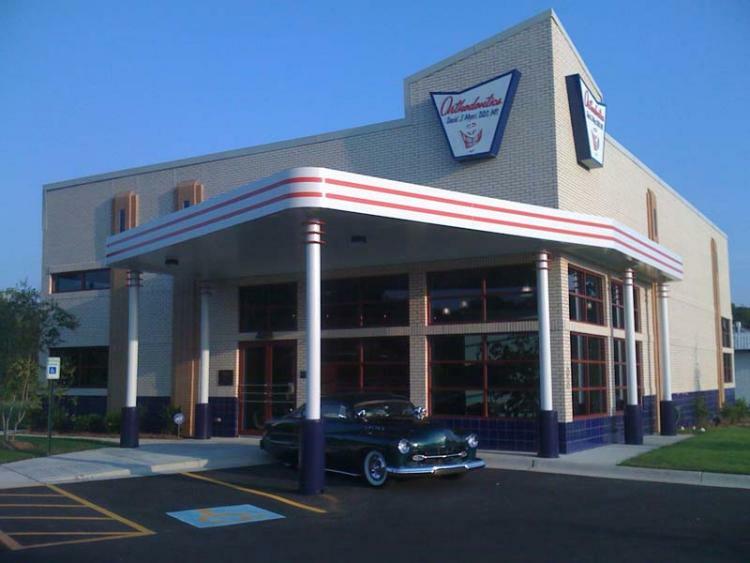 “I had the vision of the inside being a bit of a city inside with the outside of the rooms having facades of different 50’s buildings you would think of when you think 50’s….soda fountain, burger joint, gas station, etc. 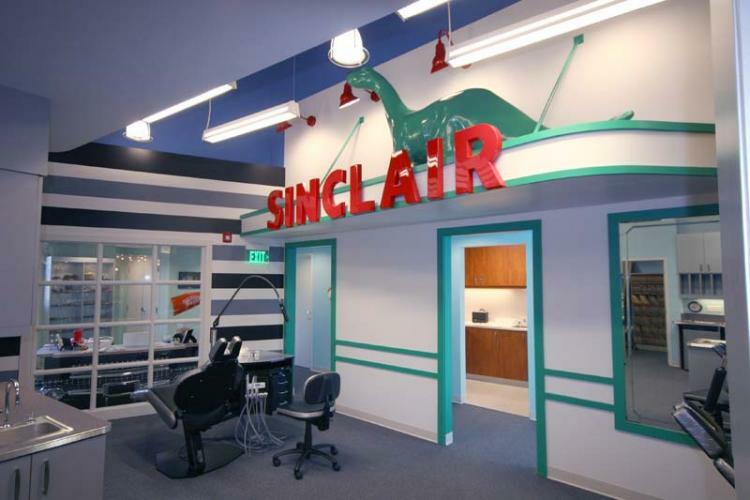 It took a fair amount of back and forth with the interior folks to get that sort of thing meshed with the stuff you gotta have for an orthodontic office. But, eventually, I think we got there”. I suggest you check out the full thread over on the HAMB and check it out (click here). 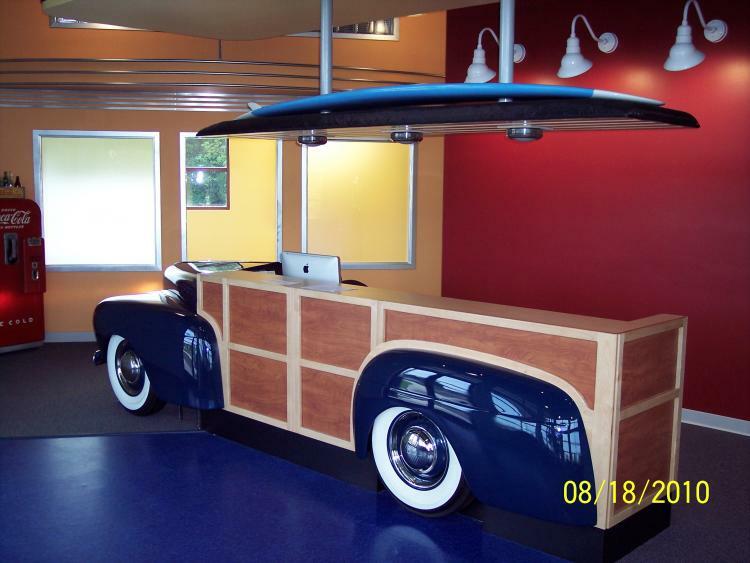 Love the Watson shop office complete with panel painted Caddy desk! What’s even cooler is Dave has been hands on during the complete build and done lots of stuff himself. Awesome.